Aeon's End: Legacy is the first legacy cooperative deckbuilding game. Aeon's End: Legacy is a full campaign, where you'll build your character over multiple games. Use them to fight off increasingly powerful nemeses in order to defend Gravehold, the last bastion of humanity. At the end of each game, you will choose new upgrades for your character and more powerful player cards to add to the market. At the end of the campaign, you'll have unique characters, new nemeses, and new player cards that you can play with forever and add to all the other Aeon's End content released. 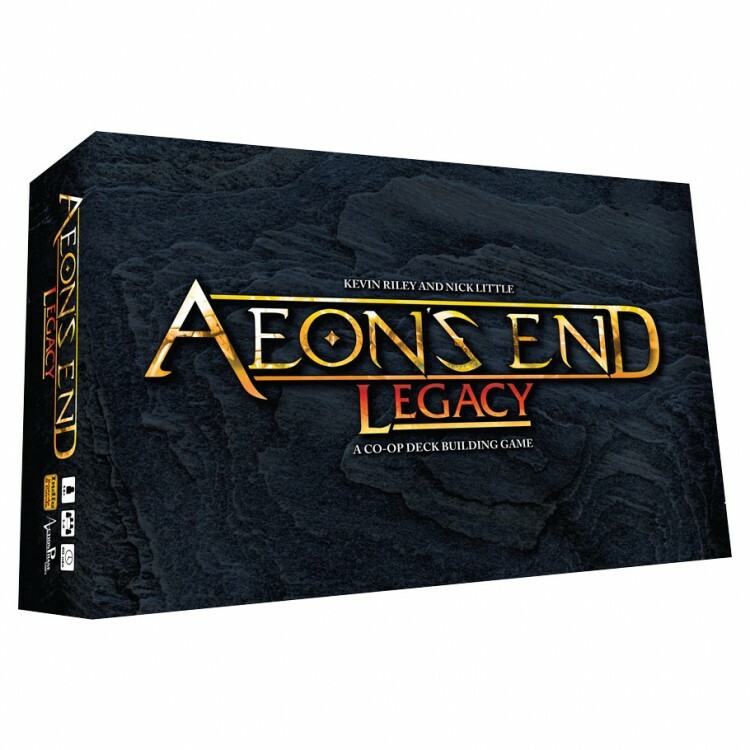 Aeon's End: Legacy is unlike other legacy games - it is a full campaign, a stand-alone game, and an expansion.